PELASPAN™ BIO Storopack's loose-fill to cushion and protect package contents including: Lighting and Electrical, Supplies, Electronic Parts, Automotive Parts, Plumbing Supplies, Office Supplies, Pharmaceuticals, Musical Instruments, Home Decor, Books, Health and Beauty Aids, Toys and Games, Natural ingredients. - Offers all the benefits of an environmental packaging material and still has a high performance-to-cost ratio. This item ships UPS oversize. 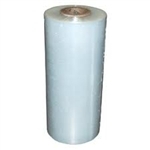 BBL 25012 P - Bubble Rolls - QPS HD Large 1/2" - - 12" x 250', Perforated Every 12"